A postcard sent from my dentist (whose building is in the picture) to remind me to have a check up. 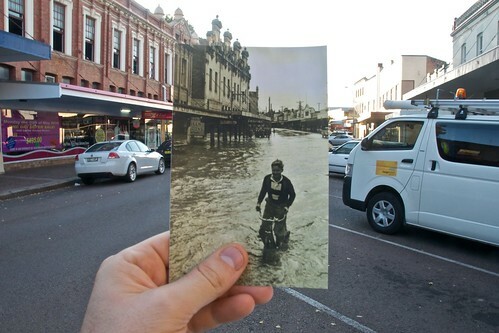 Thought it would be a good example for a then and now looking into the past. 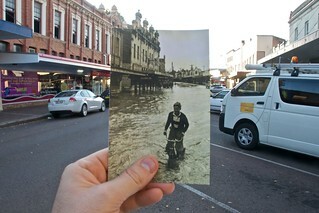 The old image I am guessing could be from the 1955 flood. High st, Maitland, NSW. Inspired by this Flickr blog post. I took a retake of this same shot a month later.